Diamond Details: 40 Round brilliant cut white diamonds, F color, VS2 clarity and excellent cut and brilliance, weighing .33 carat total. 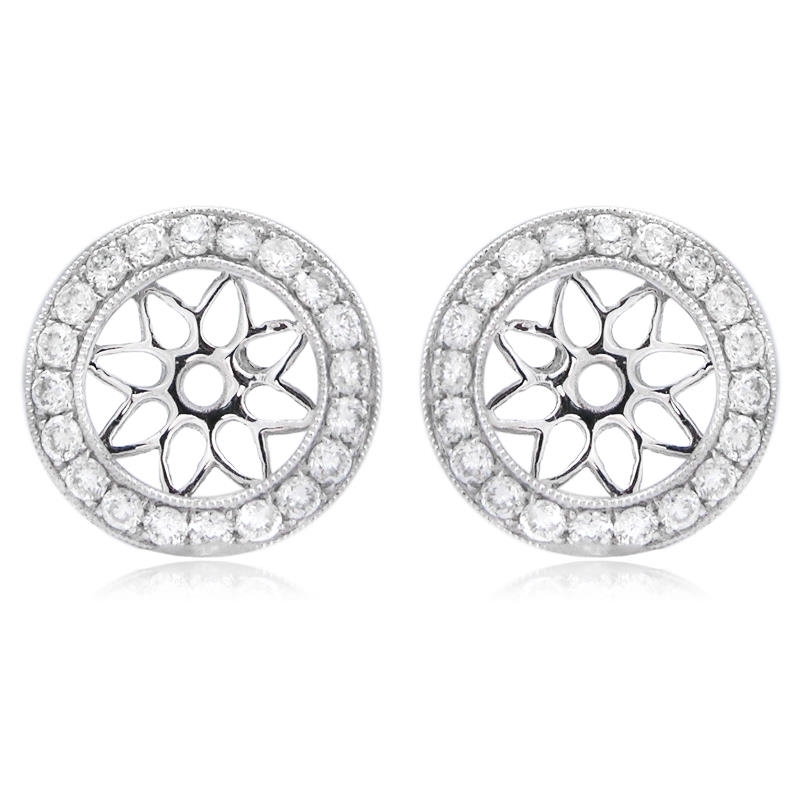 Earring Details: 18k white gold with antique style millgrain edges. Accommodates up to a 6mm round cut center stones. Measurements: 9.5mm at the widest point. 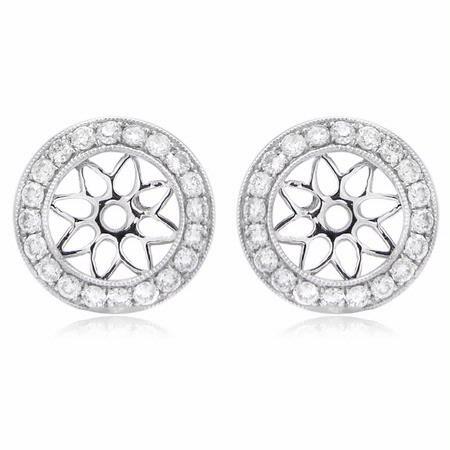 These gorgeous antique style 18k white gold earring jackets contain 40 round brilliant cut white diamonds of F color, VS2 clarity and excellent cut and brilliance weighing .33 carat total. These jackets feature millgrain edges creating an antique style effect. These jackets measure 9.5mm in diameter and would accommodate up to 6mm round cut stones.